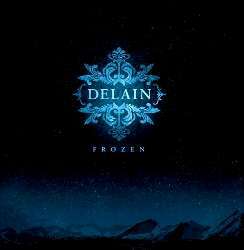 Delain is a symphonic metal band from The Netherlands, founded by Martijn Westerholt, the ex-pianist and brother of one of the founders of Within Temptation, Robert Westerholt. He left Within Temptation in 2001 when he had Pfeiffer's disease, and started Delain in 2002. The band started recording the debut album in July 2005, after signing a contract with Roadrunner Records. Charlotte Wessels (vocals), Martijn Westerholt (keys), Ronald Landa (guitars and vocals), Rob van der Loo (bass), and Sander Zoer (drums). Jan Yrlund, (guitars) and Ariën van Weesenbeek (drums), Ad Sluijter (guitars), George Oosthoek (grunts), Guus Eikens (keys), Sharon den Adel (vocals), Marco Hietala (bass, vocals), and Liv Kristine (vocals).